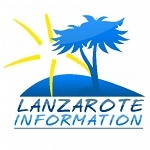 Lanzarote offers an amazing fishing excursion, where you can experience bottom fishing and trolling in The Atlantic Ocean. We went along on a trip to see what it’s like, and you can book this at the end of the article. 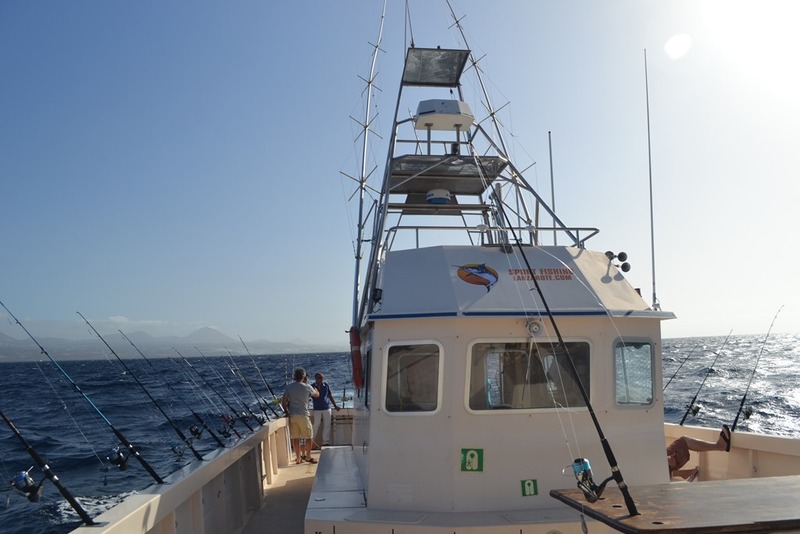 The Katfish departs from La Tiñosa harbour in the old town area of Puerto del Carmen three times a week for bottom fishing and coastal trolling excursions in Lanzarote. There were 17 of us booked for the fishing excursion and our crew included Captain Osiris, Louie and Mathew. What’s nice about this particular fishing excursion is that the boat is comfortable for spectators, there’s plenty of space, the deck is flat and you can walk around the Katfish without fear of falling over board. El Capitán Osiris welcomed us aboard, he’s a Lanzaroteño with an unusual name taken after an Egyptian god, so commonly known as Captain Sparrow. The rods were already set up and in position along the length of the Katfish, after a quick briefing on the day we cruised out of the harbour heading south. Once we were out on open water, Louie called the group together to explain about the trolling rods and what to do if we had a bite, it was important that the other lines were reeled in so that there wasn’t a tangle whilst landing the fish. We were heading for a shipwreck off the coast of Papagayo where schools of Jurel had been found recently, unfortunately on this occasion the local fishing fleet had beaten us there, so we changed course for a reef nearby. Louie and Mathew had been busy preparing the calamares bait for our bottom fishing. Once we dropped anchor, Louie gave us a quick demonstration on how to load our bait onto the hooks, cast off and what depth to fish at. In no time at all the guy next to me had caught two fish in succession, I was getting nibbles but not hooking the fish on my line. All of the fish caught with the exception of any poisonous species like the Weever were deposited into a live tank on the boat. Before we knew it lunch was being handed out, we each had a ham and cheese bocadillo with an apple, there was also unlimited drinks of water, Fanta orange, Coca Cola and beers available on demand from the chest fridge in the cabin. After lunch we moved position off the reef for some drifting fishing, this is when we all started to catch some fish. I had my first one, it was a beautiful Pandora which Louie kindly took off the line for me, I caught a second one later. There were all sorts of fish being caught including Wrasse, Red Snapper, Bream (common & black), Lizard Fish, 2 different kinds of Puffer Fish, Damsel, Trigger Fish and a few Palometa which was the first time Louie had seen these caught in his 6 years of experience. Around 14:00 we stopped drifting, it was time to start packing up and head back to shore. The group gathered around to see the fish that had been caught. There was a chance for a quick photo of the catch whilst the captain asked if any fishermen would like to take some fresh fish home with them, before the majority were released back into the sea for another day. Please note, any fish caught are the property of the boat. Again the rods were out for coastal trolling on the way back, we didn’t catch any big game fish such as Bonito, Wahoo, Dorado or Tuna on this trip, this season is from June to September when the sea is warm. We chilled on the way back, whilst Louie and Mathew cleaned down the rods and boat, as well as serving us slices of lovely fresh water melon. This is a great fishing excursion, not just for fishermen but friends and family too, the Katfish departs at 08:30 from Wednesday to Sunday returning around 15:00. The crew are really friendly and on hand to help any novices. Please note that Big Game Fishing is not usually available from December through to the end of March. Casa Lauremar is a 2 bedroom villa with private swimming pool for holiday letting in Playa Blanca. It features sea views and luxury touches.